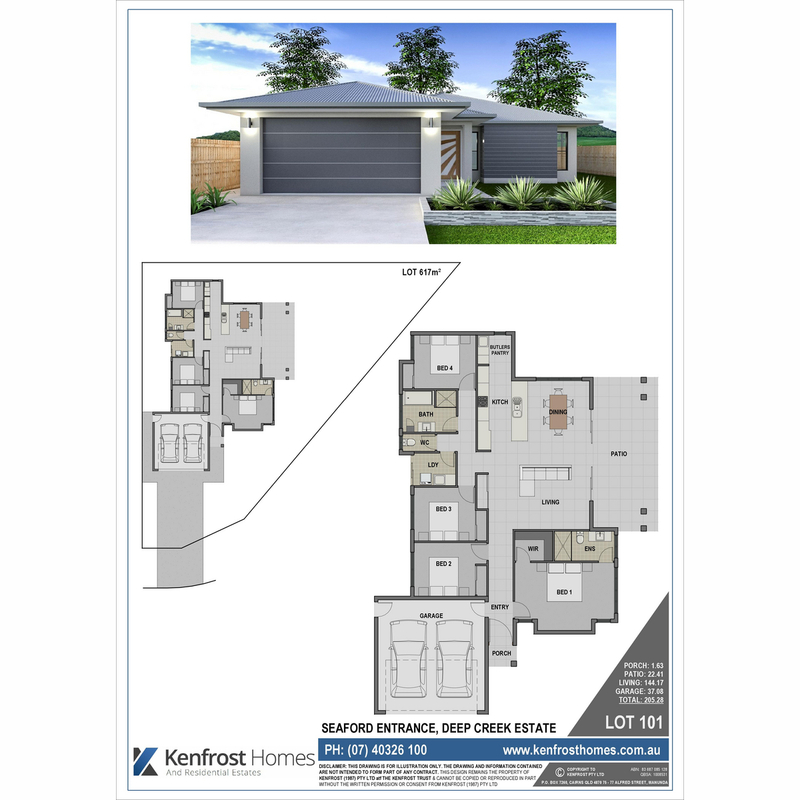 Lot 101 Seaford Entrance is a roomy 617m2 block offering a great 4 bed, brand new home. Featuring open plan living/dining/patio areas, a fabulous kitchen with full butlers pantry, big family bathroom + ensuite & all the mod cons you need in a terrific family home. Split system air conditioning to all bedrooms & living, stone benchtops, floating vanities, high gloss cabinetry… the list goes on. 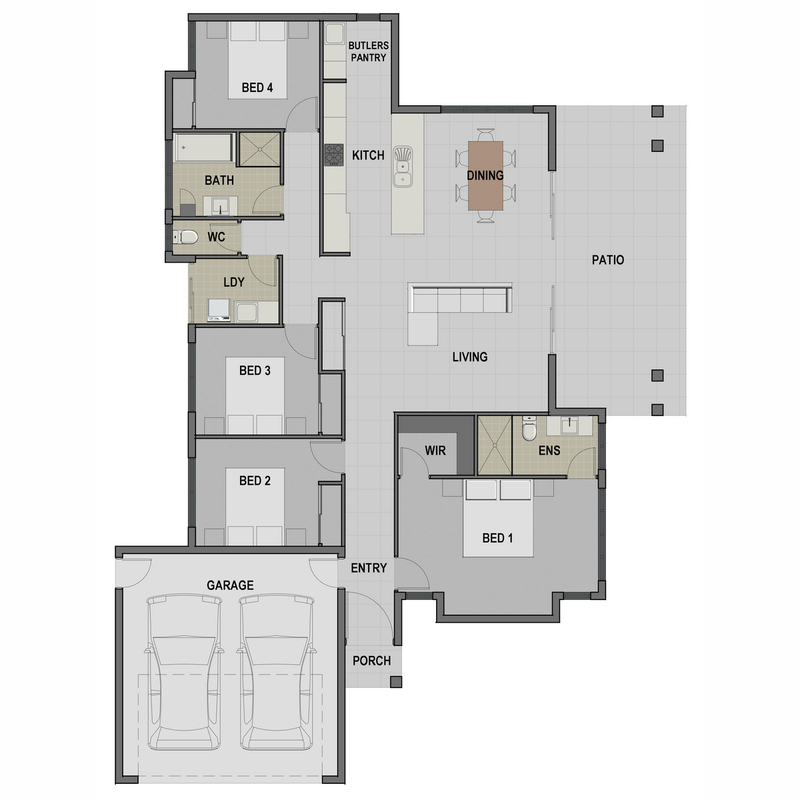 The master suite is designed to have a TV wall section, and of course has a modern ensuite & walk in robe. Porcelain tiling, safety screens, ceiling fans, clothesline, letterbox & landscaping with irrigation are all part of this prime package.